Le nouveau komusubi Endo a infligé à l’ôzeki Goeido sa première défaite du tournoi. 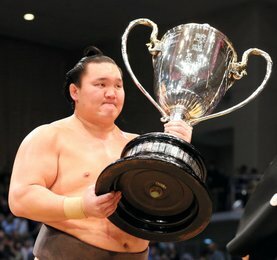 Les grands champions Kakuryu et Hakuho ont tous deux remporté une victoire facile et restent invaincus. Lors du dernier combat, Kakuryu (3-0) a vaincu Kaisei (0-3) par yorikiri. Le yokozuna a profité de sa vitesse fulgurante et de ses muscles pour déjouer le Brésilien, qui dispose pourtant d’un avantage de poids de 45 kilos. Une belle frappe a permis à Kakuryu de prendre fermement la ceinture de Kaisei et de l’éloigner du ring. 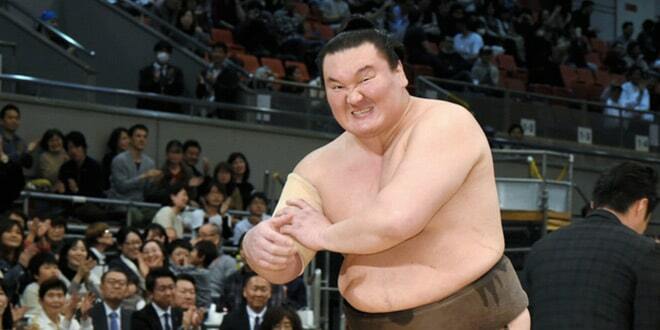 Hakuho (3-0), le seul autre grand champion du basho, est resté sur un score parfait après avoir facilement battu Shohozan (0-3). Le yokozuna a rapidement pris le dessus dès la charge initiale. Endo (2-1) a envoyé l’ôzeki Goeido (2-1) vers sa première défaite pour égaliser leurs résultats. Le komusubi a pris le dessus lorsque Goeido a glissé, permettant à Endo de le basculer par les épaules. Tochinoshin (3-0) a utilisé la force brute et a manoeuvré habillement contre Tamawashi (0-3). 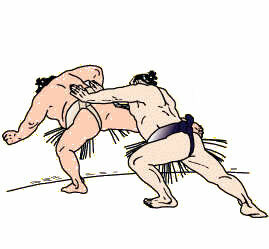 Le sekiwake a tenté de forcer son adversaire à sortir du dohyô, mais changea de tactique après que le maegashira 1 a resisté. 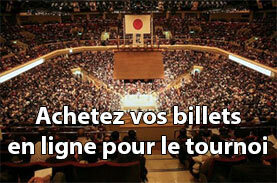 Tochinoshin, qui a remporté son premier championnat en janvier, a finalement triomphé de Tamawashi en l’envoyant vers sa troisième défaite consécutive. Le sekiwake Ichinojo (3-0) a remporté une victoire sur Daieisho (0-3) après que les arbitres aient déclaré que les mains du maegashira 3 avaient touché le sol avant que le sekiwake mongol ne soit forcé par la chute de son adversaire. Mitakeumi (2-1) a pris le meilleur sur Abi (0-3) alors que le komusubi, récemment rétrogradé, a décroché une victoire après avoir combattu sans relâche le maegashira. Seuls quatre lutteurs de rang inférieur restent invaincus après trois jours d’action : Shodai, Ikioi, Okinoumi et Asanoyama. 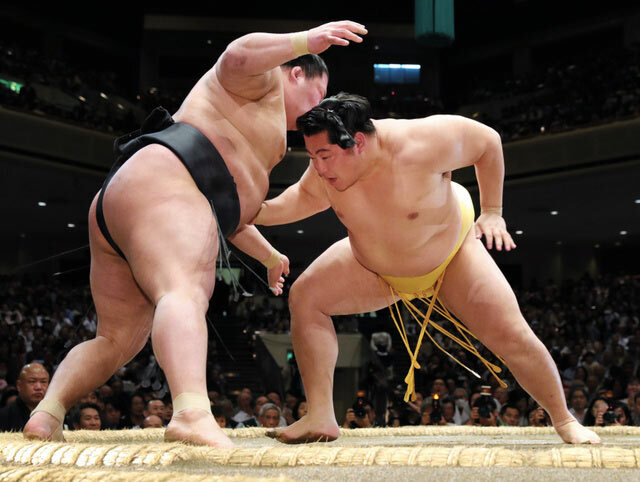 Grand champions Kakuryu and Hakuho both earned easy victories to stay undefeated on Tuesday, the third day of the 15-day Summer Grand Sumo Tournament. 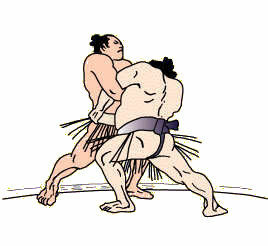 In the day’s final bout at Tokyo’s Ryogoku Kokugikan, Kakuryu (3-0) defeated Kaisei (0-3) for his 13th career win over the top-ranked maegashira in as many matches. 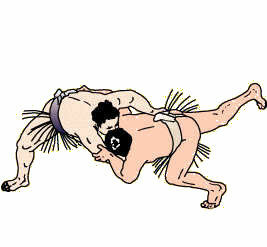 The yokozuna, gunning for his first back-to-back championship, used his lightning speed and muscle to outwrestle the Brazilian, who boasts a 45-kilogram weight advantage. 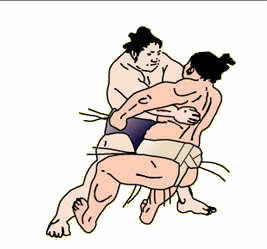 A well-timed slap allowed Kakuryu to get a solid hold on Kaisei’s belt and ease him backwards from the ring. 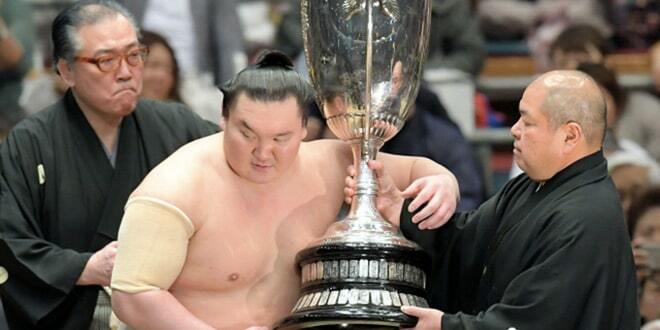 Hakuho (3-0), the only other grand champion here, stayed perfect after easily defeating No. 2 maegashira Shohozan (0-3). 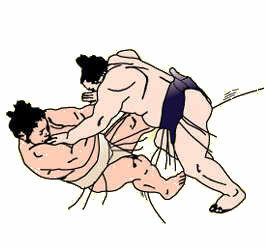 The Mongolian yokozuna got the upper hand on the initial charge and quickly bulldozed the maegashira out of the ring. 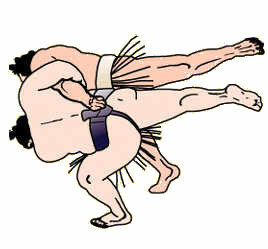 Endo (2-1) delivered a first loss to ozeki Goeido (2-1) to even their records. 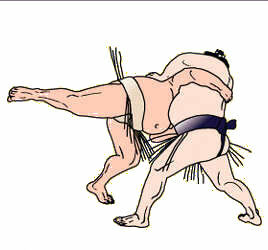 The komusubi earned the upper hand when Goeido slipped, allowing Endo to swing him down by the shoulders. 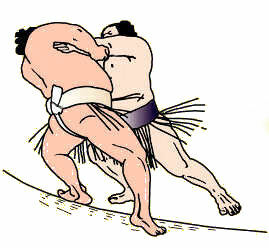 Tochinoshin (3-0) showcased his brute strength and tactical maneuvering in a collision with Tamawashi (0-3). 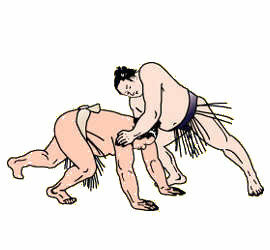 The sekiwake attempted to steamroll his larger opoponent from the ring, but reversed tactics after the No. 1 maegashira held strong. 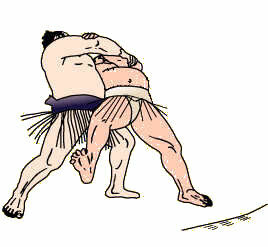 Georgian Tochinoshin, who won his maiden championship in January, eventually prevailed after twisting Tamawashi around on the ropes and slapping him down to a third straight defeat. Sekiwake Ichinojo (3-0) narrowly earned a victory over Daieisho (0-3) after referees ruled that the No. 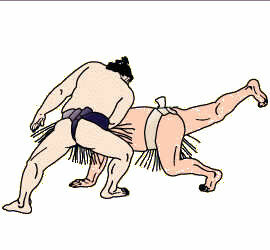 3 maegashira’s hands touched the ground before the Mongolian sekiwake was forced over the straw by his opponent’s falling charge. 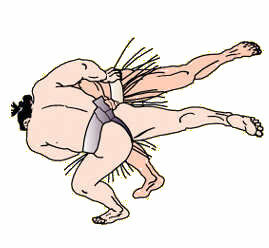 Mitakeumi (2-1) got the better of No. 2 Abi (0-3) in their first career bout when the recently-demoted komusubi landed a winning shove after relentlessly chasing the hopping maegashira around the ring. Only four lower-ranked wrestlers remain undefeated after three days of action, including No. 4 Shodai, No. 5 Ikioi, No. 10 Okinoumi, and No. 12 Asanoyama.